This outstanding artichoke garlic was originally smuggled into the United States from the city of Xian in China by a worker at the Green Lotus Restaurant in San Francisco. 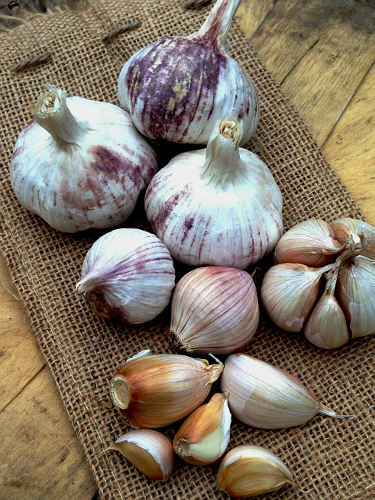 American garlic grower Chester Aaron loved it so much he paid the worker $30 a bulb in order to acquire the variety. Xian is a large cloved, purple-striped variety, very early maturing. The cloves are large and fat, about 8-10 cloves per bulb.